Colorful markets, smoking volcanoes, mysterious traditions, and warm hospitality describe the Guatemalan highlands and the discoveries on this trip. Visit the magnificent ruins of Tikal before crossing into Belize to journey through cathedral-shaped caves and explore winding trails along the Roaring River. 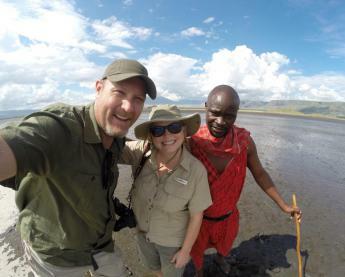 This is a unique journey for the culturally adventurous - an opportunity to experience the highlights of Guatemala and Belize in one trip! 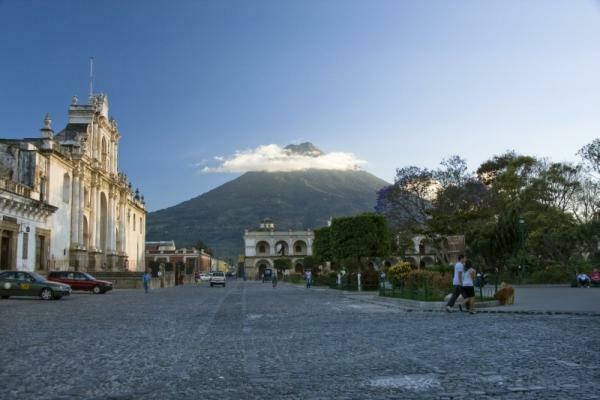 Fly into Guatemala City where you are met and transferred to your hotel in Antigua. Volcan Fuego rises to the roof of the world above the streets of Antigua below. Once the capital of Guatemala and all Central America, Antigua resembles a living ruin. Mammoth churches and palaces tell the story of Antigua's past glory, and restored fascades speak of a bright future for this wonderful city. This morning tour the city and admire Antigua's gilded cathedrals. The afternoon is yours to rent mountain bikes to explore the countryside, visit a coffee finca or macadamia nut plantation, or just people watch in the main plaza. This morning rise and drive about an hour before arriving to San Juan de Comalapa. Enjoy the bustle of the lively market less visited by tourists. Vendors set out their handicrafts, vegetables, and animals to sell. Explore the market and see the local painters who continue the tradition of naïve paintings. See the famous mural painted by school children in 1996 depicting Guatemala's recent civil war events. Explore the town and try the bread in one of the local panaderias before you leave. Next visit the Maya site of Iximché, a pre-columbian Mesoamerican archeological site abandoned in 1524. Walk amongst a number of pyramid temples, palaces, and two ballcourts and observe the painted murals on the sides of some complexes. Sculptures and ceramics are also displayed in the small on-site museum. 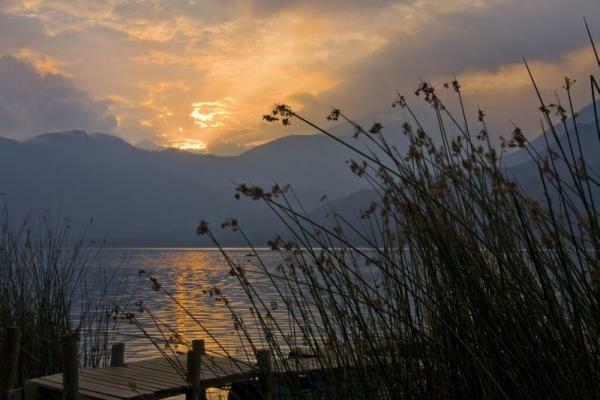 Head next to the shores of beautiful Lake Atitlan, a deep caldera lake flanked by three majestic volcanoes. Settle into your charming hotel along the shores near Panajachel. Today board a passenger ferry and ride across the azure-colored waters of Lake Atitlan to the village of San Juan La Laguna. 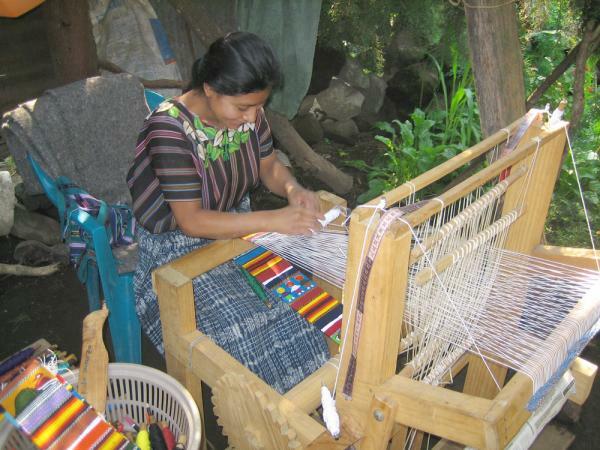 Here visit the women's textile cooperative to see hand weaving and the natural dye process used to make their famous petates, woven mats made from lake reeds. You may also visit the home studios of the celebrated naïf painters. 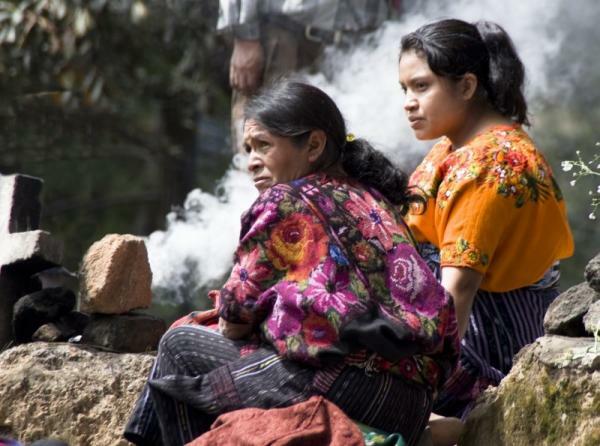 Continue to the village of Santiago, where villagers still adhere to the traditional lifestyle of the Tz'utuhil Maya and on your walk see many people cloaked in brightly-colored, hand-woven clothing. Along Santiago's main street are art galleries filled with oil paintings depicting busy market scenes and typical life in the highlands. Scholars tell us that the ancient Maya disappeared mysteriously a thousand years ago, but anyone who has intimately explored this fascinating region knows that the Maya continue to thrive in the highlands of Guatemala. Visit Maximòn and leave an offering to this curious and revered deity. 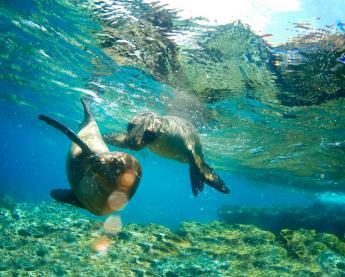 Return to Panajachel this afternoon and enjoy the rest of the day as you wish. Today rise early to visit the famous market of Chichicastenango. This beautiful town, surrounded by valleys and shadowed by mountains, has many shamanistic and ceremonial overtones. Its large market brings villagers from throughout the region, who often arrive the night before and sleep on blankets in the market square. Rising early, they set out their colorful fruits, vegetables and handicrafts. 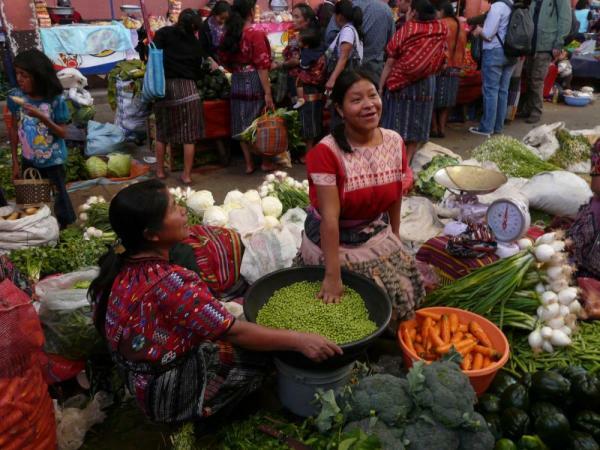 The market disperses early afternoon and you drive back to Guatemala City in time for an early evening flight north to the tropical lowlands of the Peten and the home of the ancient Maya. Overnight near Flores. 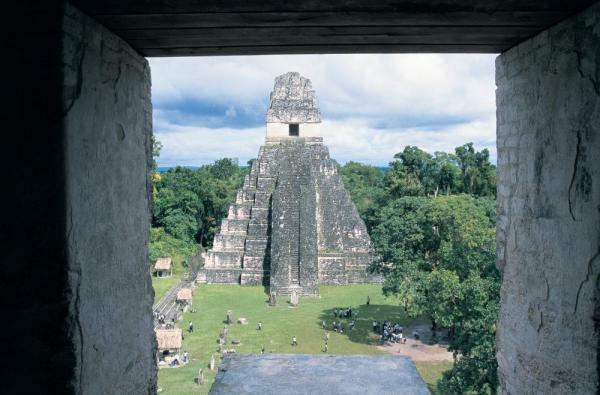 This morning join up with a group of other adventurers for a half-day tour of Tikal. Here encounter towering pyramids rising above the thick jungle canopy, and learn how the city thrived as an important religious, scientific, and political center for 1500 years. Today, the pristine forest engulfing the ruined city is home to howler and spider monkeys, white lipped peccary, brocket deer, coatimundis, toucans, scarlet macaws, parrots, ocelots, and the seldom-seen jaguar. 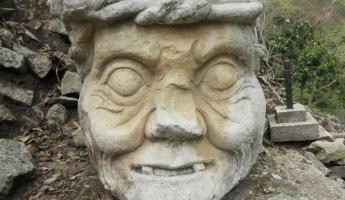 After lunch, the day is yours to explore the ruins before returning to your hotel near Flores. 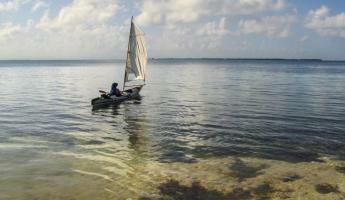 This morning you are picked up to make the 3 hour land transfer to your Belizean retreat. Your jungle lodge is tucked next to the Tapir Mountain Nature Reserve and Roaring River. Surrounded by pristine forest, your days at the lodge are filled with natural discoveries exploring the lush vegetation of the Maya Mountains and the mysteries beneath. Spend today relaxing and settling into your jungle lodge. The day is yours to explore the many trails and river that flow through the Pooks Hill property. Take a guided hike in old growth forest, float along the jungle river, or just relax and listen to the wildlife that surrounds you. Today continue your explorations of the ancient Maya with a visit to the ruins of Caracol. Surrounded by breathtaking Belizean jungle, a visit to the ruins offer massive structures, haunting tombs and burial sites, and intriguing carvings that tell stories about the people who lived and worked in this fantastic Maya city. There is still much to be discovered at Caracol and archaeologists continue their digs and preservation of the site. With time stop at Rio On Pools and Rio Frio Cave. A stop at the pools makes for an inviting dip, especially after spending the afternoon hiking under the hot Belize sun. The smooth granite stones make for great slides, but be sure to watch your step. Even for those who prefer to keep dry, the beauty of the pools is well worth the stop. Not far from the pools is the Rio Frio Cave. This is the largest cave in Belize. Approaching the cave's enormous mouth invites a magical, almost frighteningly fantastic sensation. Long ago the cave was used as a ceremonial site for the Maya, but while artifacts no longer remain, the cave still holds onto its mysticism. 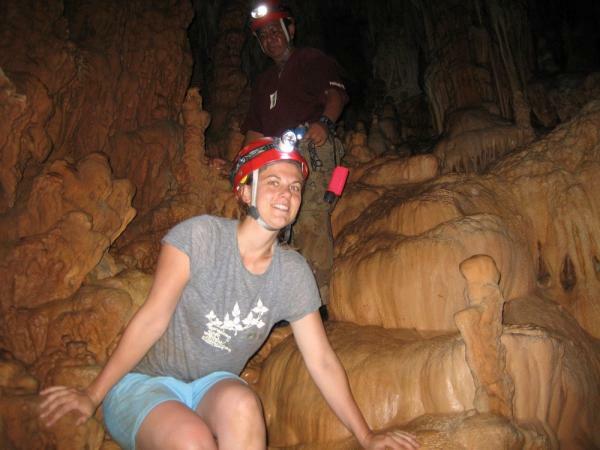 Wake early for your unforgettable adventure into the Maya underworld. Begin your journey from your lodge doors, crossing creeks and journeying deep into the Belizean jungle to the opening of the sacred Actun Tunichil Muknal - the Cave of the Stone Sepulcher. At the entrance gear up with helmets and waterproof headlamps, then wade into the emerald-colored water flowing from the cave's gaping mouth. Your journey follows the river's flow through wet and dry caves encased in hanging stalactites and towering stalagmites. The final destination is the spectacular primary chamber where ancient kings and priests made blood sacrifices to appease the Maya gods. Your lights illuminate the ghostly outlines of skeletal ritual victims and scattered ceramic shards of ancient rituals. Tunichil is an active archeological site, so be careful not to disturb the sleeping skeletons and ceramic pieces before returning to the light above ground. 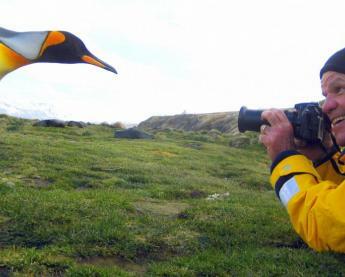 Those preferring life above ground can choose from a variety of alternative excursions. 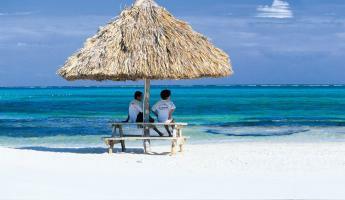 After breakfast, transfer to Belize City and catch your international flight home. Combining beauty and functionality, the most important goal of Lo De Bernal is to provide the guest a pleasant and comfortable hotel stay in Antigua. Hotel El Convento resides on a lovely cobblestone street in front of Antigua's famous 18th century Capuchin convent. El Convento offers guests a relaxing sanctuary and a perfect starting point for their Antigua tours. 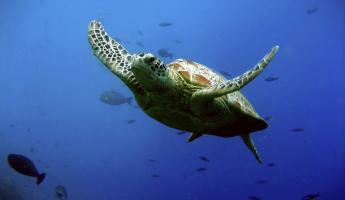 Villa Maya is an elegant hotel resting on a tropical estate along the shores of the Petenchel and Monifata Lagoons. A small, family friendly hotel with 26 rooms, offering a relaxed and welcoming environment. Located only 5 minutes from the Flores International Airport, it is situated on the shores of Lake Peten Itza with a view of the charming island Flores. Experience the history, culture, and tradition of ancient Mayan civilization while enjoying the manifold comforts of Camino Real Tikal. The hotel offers guests a unique tropical retreat in the relaxing ambiance of beautiful Lake Peten Itza and the Peten jungle. Located on the shores of Lake Atitlan, Hotel Posada Don Rodrigo provides comfortable accommodations, friendly staff, and delicious food at their restaurant. Here you will encounter elegance, service & good taste within a location rich in tradition & colonial landscapes. Dos Mundos, a full service hotel one block from the shores of beautiful Lake Atitlán, is a great place to start your Guatemalan adventures. 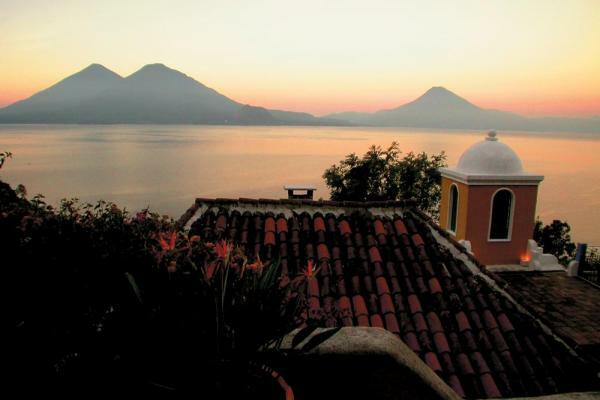 Hotel Atitlan rests alongside beautiful Lake Atitlan. A former coffee plantation, the property is surrounded by botanical gardens and boasts some of the grandest scenery in Guatemala.